Eliminate performance bottlenecks from data and file sharing applications and give users LAN-like application performance, with WAN optimization. By transmitting only new or changed data, SonicWALL WAN Acceleration Appliance (WXA) WAN solutions optimize the bandwidth you already have. 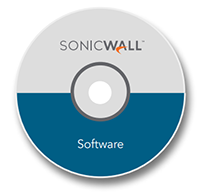 Integrate WXA hardware, software or virtual appliance with a SonicWALL firewall to minimize and prioritize app traffic. Designed to reduce application latency, conserve bandwidth and significantly enhance WAN application performance. Designed for small- to medium-sized organizations with remote and branch offices, the WXA 2000 significantly enhances WAN application performance and user experience for up to 120 users, with 600 concurrent flows. Designed for small- to medium-sized organizations with remote and branch offices, the WXA 4000 significantly enhances WAN application performance and user experience for up to 240 users, with 1,200 concurrent flows. As a hardened, performance-optimized virtual server, the SonicWALL WAN Acceleration Virtual Appliance (WXA) 5000 eases migration and reduces capital costs while significantly enhancing WAN application performance and user experience for up to 360 users. As software that is easily deployed on dedicated hardware, the SonicWALL WAN Acceleration Live CD (WXA) 500 allows organizations with small offices of up to 20 users to enhance WAN application performance while leveraging existing infrastructure. Increase WAN application performance between distributed, remote and branch sites as well as increase productivity for up to 2,000 users over 10,000 concurrent sessions using the WAN acceleration software 6000 running on a Dell PowerEdge R320 server. In today's distributed enterprise, applications such as Microsoft SharePoint and Windows File Share transmit an increasing number of files and data sets over Wide Area Networks (WANs), overburdening available WAN bandwidth. To make matters worse, these collaboration applications can inefficiently retransmit entire files (rather than just incremental changes) multiple times, unnecessarily increasing WAN traffic. IT often responds by expending budget on more bandwidth or enhanced services. Alternatively, WAN acceleration technology can resolve the problem by allowing more efficient utilization of the existing network bandwidth. The SonicWALL WAN Acceleration Appliance (WXA) Series reduces application latency and conserves bandwidth, significantly enhancing WAN application performance and improving the end user experience for small- to medium-sized organizations with remote and branch offices. After initial data transfer, the WXA Series dramatically reduces all subsequent traffic by transmitting only new or changed data across the network. Deployed in conjunction with a SonicWALL E-Class Network Security Appliance (NSA), NSA or TZ Unified Threat Management (NGFW) Firewall and Application Intelligence and Control Service, the WXA offers the unique combined benefit of prioritizing application traffic and minimizing it between sites, resulting in optimal network performance. Increase productivity by enabling your applications to run faster at remote and branch offices without paying to add more bandwidth. SonicWALL WXA solutions enable your applications to run faster at remote and branch offices without adding more bandwidth. Cut down on duplicate information and reduce latency for peak network performance with data de-duplication, byte caching and file caching. After initial data transmission, you can limit subsequent traffic to only new or changed data. You can seamlessly integrate the WXA Series with your SonicWALL next-generation firewall. This powerful combination lets you maximize security and WAN performance. This is because it scans traffic for threats before accelerating it across a virtual private network (VPN) or dedicated WAN link. You can also simplify the deployment, placement, routing, configuration, management and integration of WXA with other parts of your security solution.